In honour of Machon HaTorah v’Ha’aretz’s 30th anniversary, they will be holding a free conference (yom iyun) on various topics relating to shmita and derech eretz. The yom iyun will take place on Wednesday February 4 in the conference center of the Ganei Yerushalayim Hotel, Kiryat Moshe, Jerusaalem from 11:00-19:30. There is no charge for the event and there will be light refreshments served. Click on the picture of the schedule for a larger image. Egg prices are going down! ***In the interest of public health, consumers are advised to only purchase eggs in closed packages. Don’t worry, your eyes aren’t tricking you- the new price is only 3% lower than the previous price, which is similar to the last price adjustment in November 2013, which was lowered 3.3%. For those of us who lose all of those little pieces of paper around the house, here is a new coupon app for you. 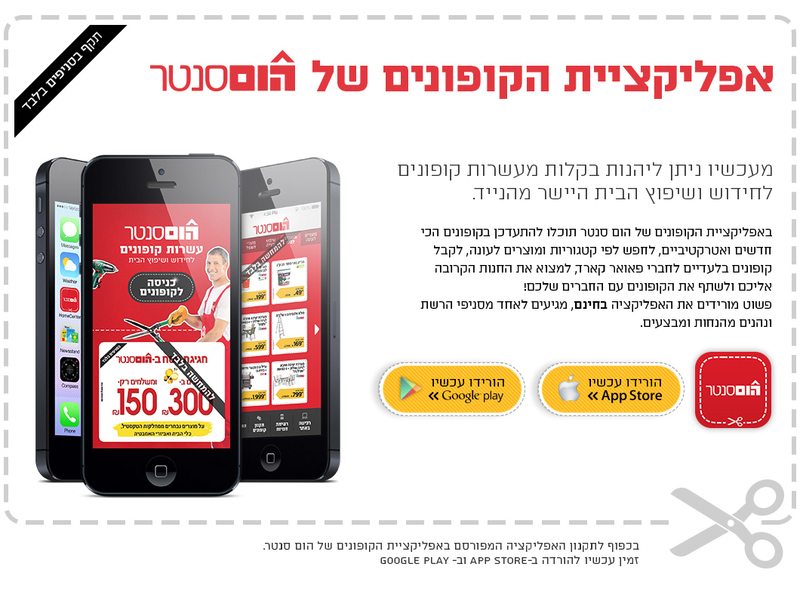 Download the free Home Center app from Google Play or iTunes and your coupons are ready to go! For more information go to Home Center’s web site or Facebook page. If you have purchased any of these products, do not consume them. Bring them back to the place you purchased them to receive a refund. Both of these companies are removing these products from the shelves. Listeriosis, a serious infection usually caused by eating food contaminated with the bacterium Listeria monocytogenes, is an important public health problem. The disease primarily affects older adults, pregnant women, newborns, and adults with weakened immune systems. However, rarely, persons without these risk factors can also be affected. The risk may be reduced by recommendations for safe food preparation, consumption, and storage. For more information, go to the CDC web site. In Israel it seems to be a constant battle trying to buy a reasonably priced product without it falling apart in three seconds. We used to buy strictly according to price but after being constantly frustrated because we had to buy ANOTHER hairbrush/pencil sharpener/backpack/etc., we decided that for many items, as the saying goes, you get what you pay for. In the kitchen I admit that I have a lot of disposable containers that are re-used often- that is, until my child comes home hysterical because her lunch leaked all over her science project. Storage containers need to be sturdy to survive your child’s backpack and they need to keep their contents in the container. Tupperware is one of those brands that you know will last forever- I think everyone has one item from their parents or grandparents that are still going strong. My favorite Tupperware item is my soup mug with a vent hole on top which NEVER leaks. If you are looking for a good quality gift for you or your friend, quickly check out the Tupperware sale going on now- 15% off the entire store except pots. You can look through the catalog here. To purchase an item (or more), you can contact Einat, the Jerusalem representative at 050-5741815 (Hebrew/English) or on her Facebook page or place an order on the Tupperware web site using code 1000. 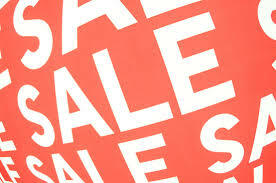 The sale ends soon so get your (mishloach manot? Pesach?) order in now! The manufacturer from outside Israel noticed a white precipitation in a number of bottles of L-Thyroxin drops 100mcg (batch number 400412). 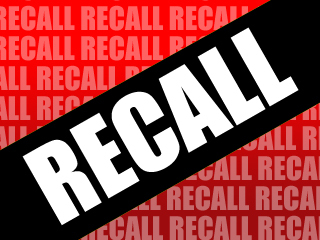 Despite the fact that there have no reports of illness due to this batch of L-Thyroxin, Misrad HaBriut has ordered Sherutei Briut Clalit to recall this product. Clalit will notify its patients that purchased this product. These patients are directed to make an appointment with their doctor to obtain a prescription for a replacement drug, which will necessitate monitoring to ensure the proper dose. Clalit pharmacies will only dispense replacement drugs with a doctor’s prescription. What happened to all the coupons? Hi folks- January has been a really quiet month coupon-wise. I have been out of the country most of this month, but even so I have been hard-pressed to find good deals to pass on to you. OK, now I know that the new food law is a draft- therefore it has not in effect as Strauss says. So what is going on? Is this some sort of show against the new law or is it a convenient excuse not to provide coupons? The Israeli Chamber of Commerce doesn’t mention this issue in their comments and neither does the Israeli Manufacturer’s Organization– the umbrella organization for manufacturers such as Strauss and Tnuva. That means that the issue is not really important to manufacturers (if it really exists). The issue should be important to the Israel Consumer Council though- if anyone is concerned, they should be. Despite their detailed list about what the new law means for consumers, there is no mention of coupons being forbidden. Some of the practices that the new law does forbid include: the purchasing of preferable shelf space in a supermarket, forcing the recommended price of an item on a seller, limiting supermarket space to 50% for extremely large companies, and forcing consumers to buy a less-preferred product to get a low-priced preferred product. You can read more on their web site. I might say that forbidding a recommended price MIGHT be related to coupons, but it isn’t very clear to me at all. At this point I am perturbed. Are you? I can’t see any reason to forbid coupons. 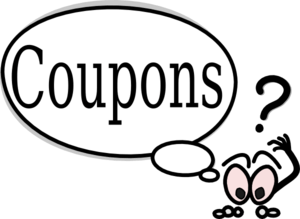 If limiting coupons to particular supermarkets is what Misrad HaBriut feels is preferential treatment that should be stopped, then have coupons valid at all supermarkets! Maybe the whole point of coupons was a joint deal to promote certain supermarkets?!?! If this issue bothers you as much as it bothers me, complain! Click on the names to file a complaint and make sure to mention “Chok HaMazon” חוק המזון. If your kids are absolutely sure they know what they want to be for Purim (mine change their minds every five minutes), take advantage of these coupons and beat the pre-Purim rush.